Always Take the Temperature of Your Audience. This Video is the Seventh of Nineteen about Lessening The Fear of Public Speaking! Here’s another one off my Nuggets to Lessen the Fear of Public Speaking. I’m the only one speaking, but I’m getting a lot of feedback from the audience. I’m looking at facial expressions, gestures, body language. Someone snoring and drooling – aagh! It’s not a good sign! If I see someone with a confused look on their face, shame on me! I need to repeat that in a different manner. When I’m repeating it and they GET IT! ; that lowers my anxiety. 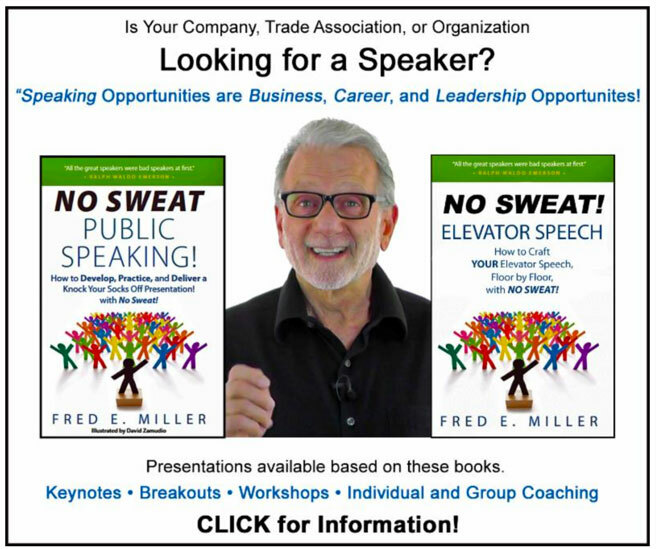 Till next time, this is Fred Miller – NO SWEAT!